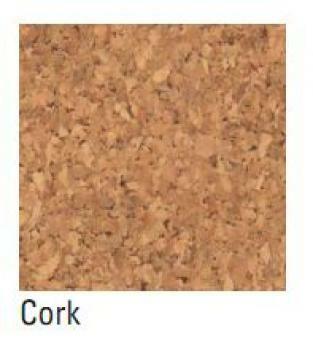 Cork on one side and whiteboard on the other side! 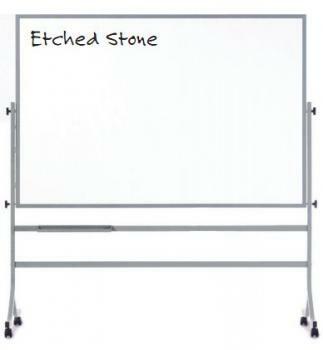 The double-sided freestanding Combination Whiteboard and Cork Board provides teachers with multiple uses. 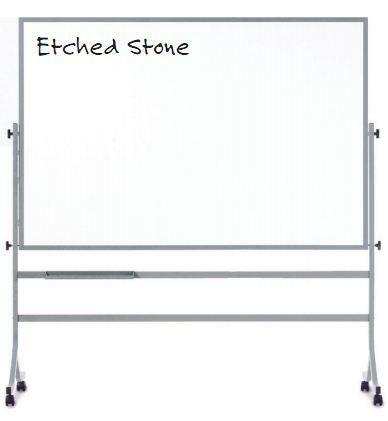 You can utilize the whiteboard side to allow students to express opinions and solve problems, while the cork board side is the perfect place to hang important school notices and class reminders. 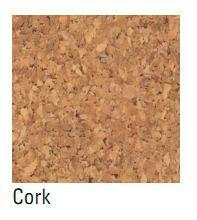 The all-natural, recycled cork possesses a strong bounce back capability to withstand years of tack impressions. 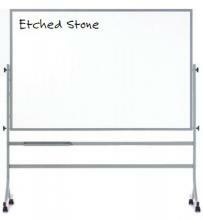 The stylish, contemporary whiteboard is constructed with tough porcelain steel to prevent dents and scratches. 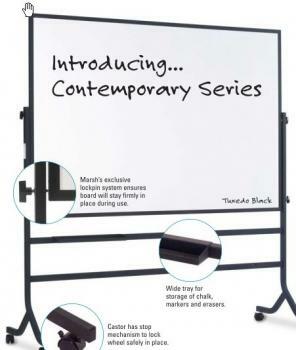 Steel constructed legs are built to last and they provide unwavering support for the dual boards. Our exclusive lockpin system ensure the board remains firmly in place during class lectures. 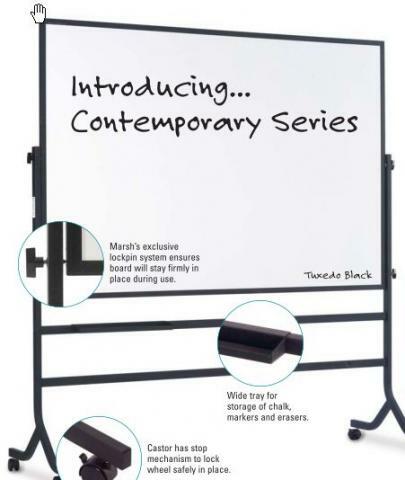 The powder-coat finish adds a touch of class to the highly multi-functional Combination Whiteboard and Cork Board.